If you want to find sea turtles on a Royal Caribbean cruise then you must know where to look. The Caribbean Sea is known as one of the world’s most exquisite bodies of water. With its warm, turquoise waters, magnificent coral reefs, and bountiful marine life, it is no surprise that many choose to visit the Caribbean Sea in an attempt to reconnect with the earth and its creatures. It’s not uncommon to see power catamarans soaring through the water in search of rare beauties and vibrant wildlife. 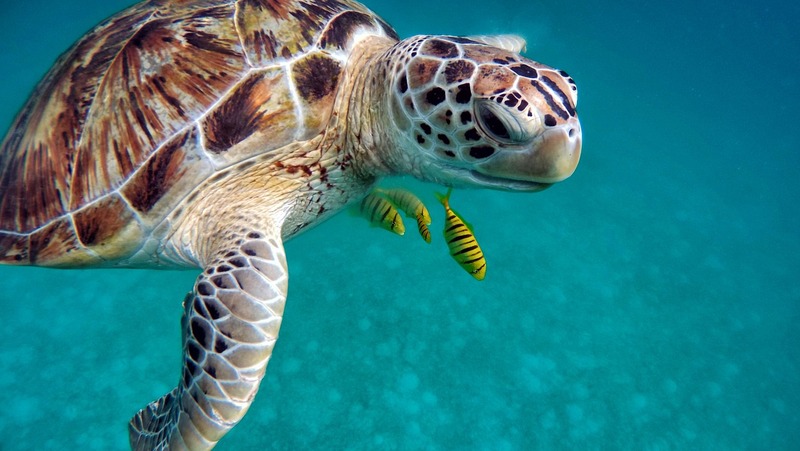 One of the more notorious members of marine life is the sea turtle. Having the ability to not only see a sea turtle in the wild but swim alongside it, is a dream that many vacationers to the Caribbean share. Depending on where you plan on vacationing within the Caribbean, you may be fortunate enough to spot a sea turtle in the wild. If your main reason for traveling to the Dominican Republic is to experience the bounty of wildlife that it has to offer, planning your trip sometime within March and November is recommended as this falls within the Dominican Republic’s turtle nesting season. Hawksbill turtles, Leatherback turtles, and Green turtles all make appearances during this time period to lay their eggs. For a place to rest your head at night in-between turtle sightings, the Bavaro Princess in Punta Cana is an all-inclusive resort featuring first-class amenities and breathtaking scenery. Located in Puerto Rico, Palmas del Mar and San Juan both offer their visitors pristine beaches and warm waters that are teeming with marine life. For those visiting San Juan, a stay at the Courtyard by Marriot Isla Verde Beach Resort is the perfect home base for those who want to experience marine life as well as city life. For those visiting Palmas del Mar, Royal Holiday’s the Park Royal Club Cala will meet all of your needs and then some. At both locations, snorkeling and scuba diving are activities that can be enjoyed by visitors and are the best options for vacationers to see a sea turtle in the wild. A stay at the Paradise Beach Villas in Oranjestad, Aruba, provides vacationers with a fantastic “middle ground” in regard to seeing sea turtles. Located directly across from the Paradise Beach Villas is Eagle Beach, voted the third best beach in the world by TripAdvisor. Many sea turtles nest on Eagle Beach which makes this location ideal for turtle sightings, especially if you visit Aruba during peak nesting season (March – September) or during peak hatching season (May – November). Additionally, the Villas are located 4.5 miles from Malmok Beach. This beach is known for its snorkeling and sea-turtle sightings. Be sure to visit the beach earlier in the day as tour boats begin to frequent the beach in the afternoon. Do not litter or drive on beaches. Litter, like plastic bags, can kill sea turtles. Driving on the beach compacts the sand and makes it more difficult for turtles to dig their nests. Do not use lights at night. Using lights at night can disorient hatchlings leading them in the opposite direction of the ocean. Do not disturb the nests or touch the hatchings. Wildlife is fun to watch. If you want to find sea turtles on a Royal Caribbean cruise then be sure to look in the places mentioned above. And take lots of pics! If you’re looking for more travel tips or want budget flight hacks, be sure to subscribe so you never miss a post.